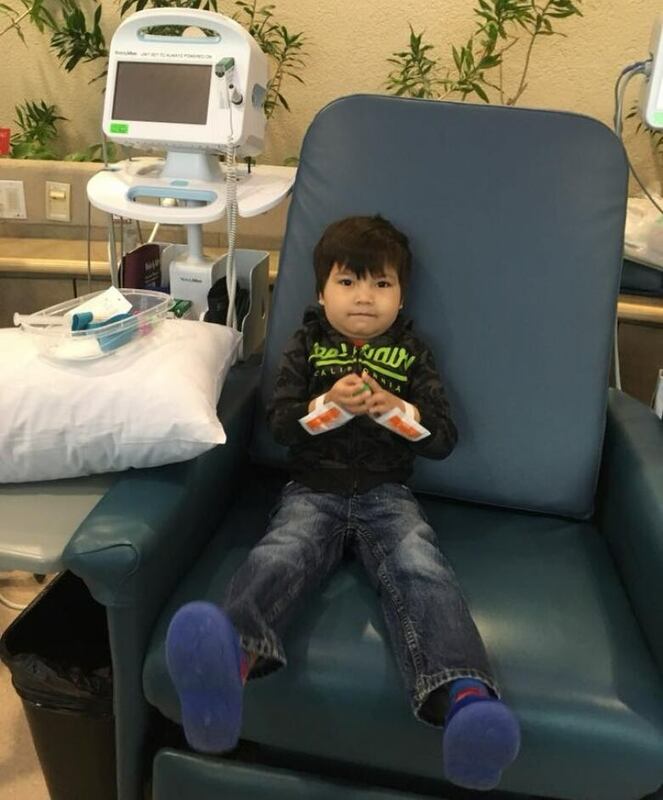 Miranda McLeod is setting up a OneMatch testing station at The Forks on Saturday hoping to find a stem cell donor for her four year old son. Tanner McLeod was just six months old when he was diagnosed with a rare blood disorder called sideroblastic anemia. 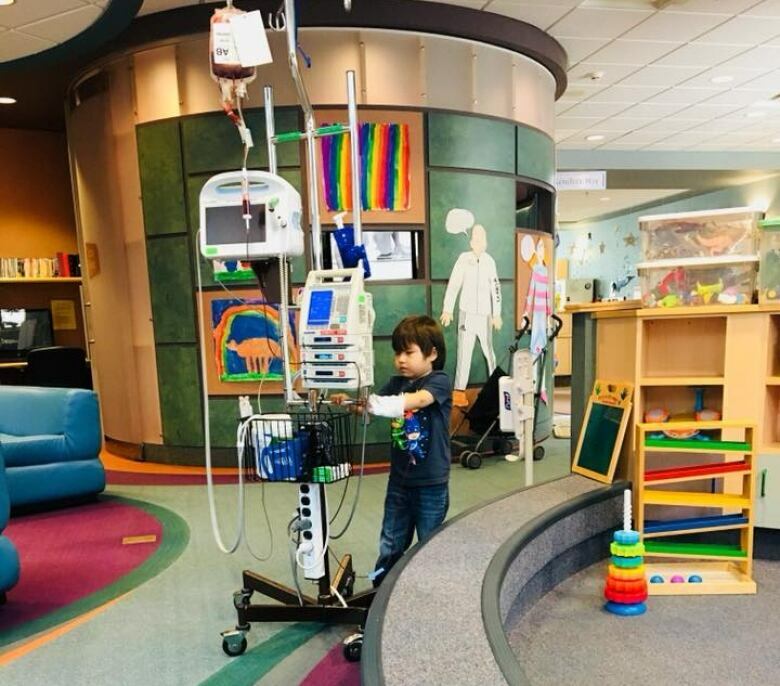 He's unable to produce healthy red blood cells, so he has to have a blood transfusion every three weeks when his hemoglobin levels drop too low. "As a mother, it can be challenging at times because I am not the one receiving the poke, but it kind of feels like it," said Miranda McLeod. She said her now four-and-a-half-year-old son handles the needles like a champ, but says it's his quality of life that suffers. McLeod said the disorder affects his appetite, energy levels, and he turns pale when it's time for new blood. "It's a constant reminder that my son could be better health-wise," she said. She was tested to be a stem cell donor. But she's not a match for Tanner, nor are any of their relatives. That's why she has organized a OneMatch registration drive on Saturday at The Forks at the Indigenous Day celebration. 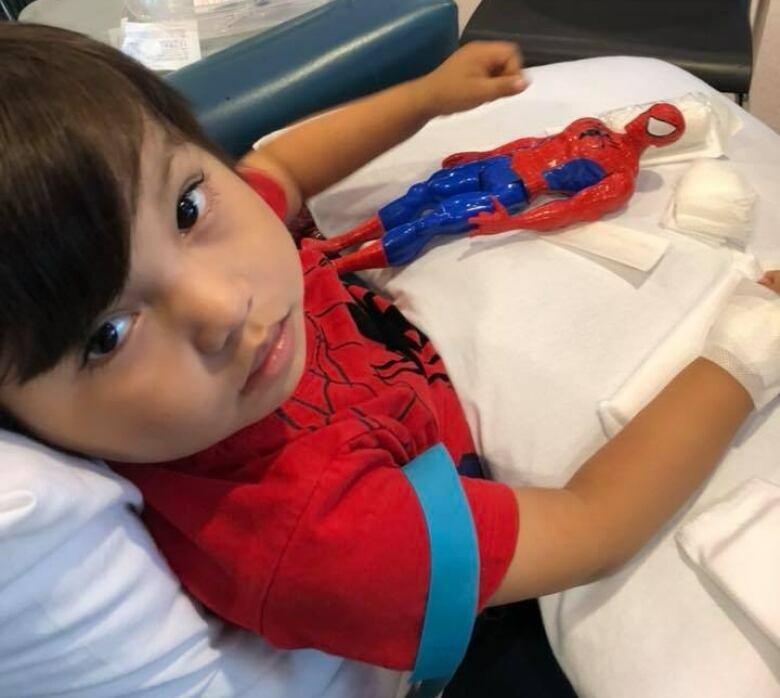 "We need to find him stem cells that very closely match his immune system, which is a very complex process for the people at the Canadian Blood Services," she said. Sharr Cairns, who is a territory manager with OneMatch and the Marrow Network with Canada Blood Services, said there is a better chance find a match from your own ethnic community. "The matching process with stem cells is quite different as compared to blood donations," she explained. "What we're looking for is almost your genetic twin." Tanner needs a protein that sits on your white blood cells called the human leukocyte antigen. She said you inherit half of the genes that produce the protein from your mother, and half from your father. McLeod is from Pimichikamak, also known as Cross Lake, so Tanner is more likely to find a match within the Indigenous community. However, Indigenous people only make up 1.3 per cent of the OneMatch database, which is why McLeod is setting up at Indigenous Day, hoping to get more potential matches registered. "For patients like Tanner, not only for Tanner," she said. "There are currently 17 Indigenous patients waiting for a match." Even though McLeod wasn't a match for her son, she is registered as a donor, hoping to help another family. Canadian Blood Services says young stem cells are the best and are especially encouraging people between the ages of 17 to 35 to register.